The visionary for a great restaurant may very well be the chef, but the body and soul of that operation is the cadre of line cooks who make it all happen. 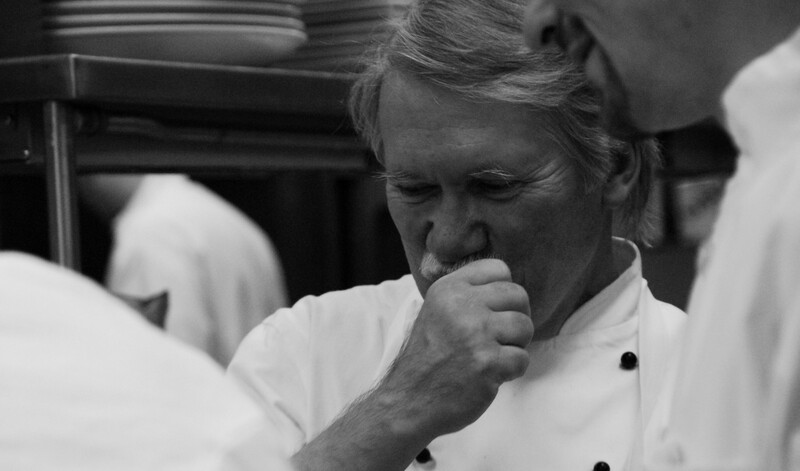 What distinguishes an average line cook from a great one? What definitive skills or aptitudes are the keys to excellence and a team that wins every time the restaurant doors are open to the public? As I sift through the multitude of tasks that a line cook must perform on a daily basis, it became apparent that there were a few common denominators that set the great apart from the want to be great. These skills, at some level, can be taught and or assimilated over a period of time, but to master them may require a bit of “born talent”. There are ways to compensate – an operation can build a team of individuals with complementary skills, creating a “package” that leads to success, but the shining stars who possess them all, become a sought after commodity. THE INCREDIBLE ONES HAVE GREAT FLAVOR MEMORY. Cooks with finely tuned “buds” are always cognizant of the end result. “I know the flavor profile of this dish, understand how seasonings, herbs and spices work together, know how to adjust for seasonal differences in raw material flavors, and can reach the end result consistently.” Their flavor memory is a sensory database that is able to lock in and then reverse-engineer the flavor of a dish. 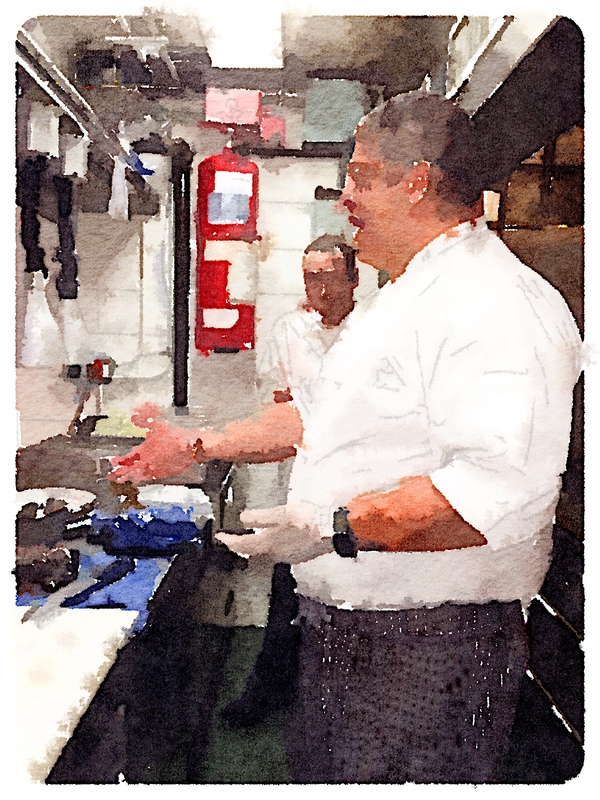 When the chef refers to Saltimbocca, Osso Buco, Sole Meuniere, a specific sauce reduction, or herb salad accompaniment, the line cook can pull the flavor identifiers from his or her memory and visualize what the dish should taste like and how to get to that point. Incredible line cooks have an encyclopedic knowledge of food items, classic dishes, ingredient characteristics, and the way to draw the maximum and appropriate taste from each. THE GREAT ONES ARE IMPECCABLY ORGANIZED. Great cooks are obsessive about mise en place. To watch them prepare their station might make some shake their heads or even smirk at the intensity of their detail, but it is what allows them to thrive under most any conditions. 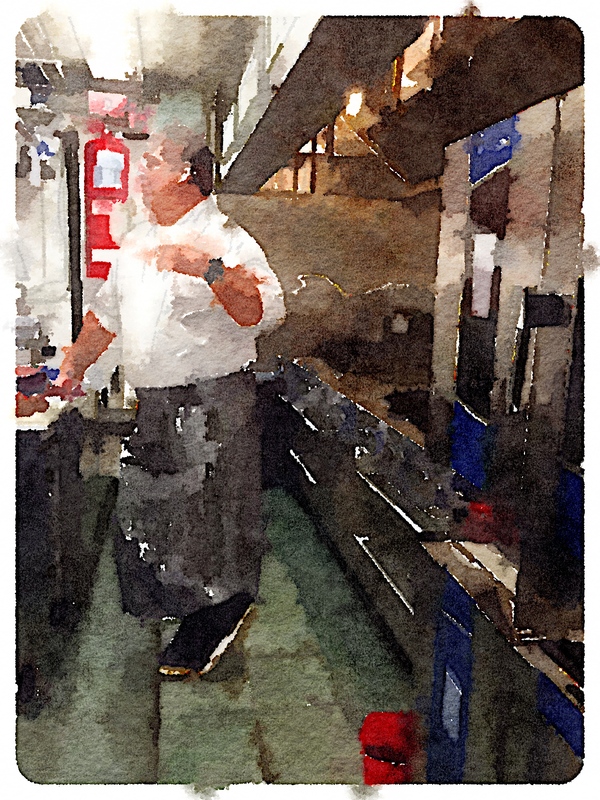 Great line cooks know exactly where everything in the station sits, how much back up they have, and how many steps it takes to get from their lowboy to the range. They fold their side towels a certain way, turn the handles of their sauté pans in a specific direction, check the plates warming under the pass lamps to make sure that each one is spotless (nothing worse than pulling down a piece of china for plating only to find that it has dried egg on the edge), and take the time to bore out the rings on each gas burner to maximize efficiency. When they are ready, they are really ready. THE VERY BEST LINE COOKS ARE THEIR OWN WORST CRITICS. The best line cooks know that every dish that leaves the kitchen is a reflection on his or her reputation as a cook. It has to be right. The standards that the best line cooks adhere to are oftentimes more stringent than those that the chef insists on. Good enough is never good enough for the very best. These line cooks self-evaluate their own performance daily and tend to be very hard on themselves. On the best of nights, the great line cooks would score their performance a C+. They know that they can always be better. THE OUTSTANDING ONES ARE MASTERS OF METHODS. Recipes are certainly important, but recipes are invariably flawed. This is why a dozen cooks can follow the same recipe and produce a dozen different results. Outstanding line cooks know that there are so many variables from ingredient quality to equipment inefficiencies, from size and shape of an item to the type of pan used in cooking, that a recipe serves only one purpose: to guide the cook and communicate the list of components in a dish. Understanding methods of cooking is the only way to approach cooking with all of these variables in mind. Combine an understanding of methods (braise, sauté, roast, pan fry, deep fry, poelle, poach, grill, stir fry, etc.) with flavor memory and you have a line cook with an unbeatable ability to cook anything and be consistent. THE GIFTED ONES ARE KITCHEN CHESS MASTERS. As in chess, gifted line cooks are able to think a few moves ahead, and even reflect on strategies when posed with a particular set of circumstances. Keeping a station organized in the heat of battle requires that numerous dishes be maintained at various levels of preparation leading to timely plating for the complete table. “How far can I take this step in preparation knowing that the window for plating is in the next 10-20 minutes? The grill is 5 minutes away from that steak being perfect, when should I start the finishing of that sauce reduction so that grill doesn’t have to wait for me?” It is a chess match every night, a constant battle designed to avoid checkmate at any given point. THE UNIQUE ONES NEVER SACRIFICE QUALITY. The unique line cooks are committed to always doing it right and cannot accept short cuts or a “good enough” attitude. The waiter waits for the steak, is always the rule of thumb with great line cooks. It is simply unacceptable for a dish to leave the kitchen unless it is prepared right, at the right temperature, presented as the chef has designed it, and in fitting with the overall standards of the operation. Having worked with many cooks, and having spent enough time in my past as a line cook, I can attest to the validity of this list. I admire all line cooks who are serious about their work and never cease to be amazed by those who fit the mold of a great one. They are a pleasure to watch, an honor to work with, and essential to the workings of a serious restaurant. 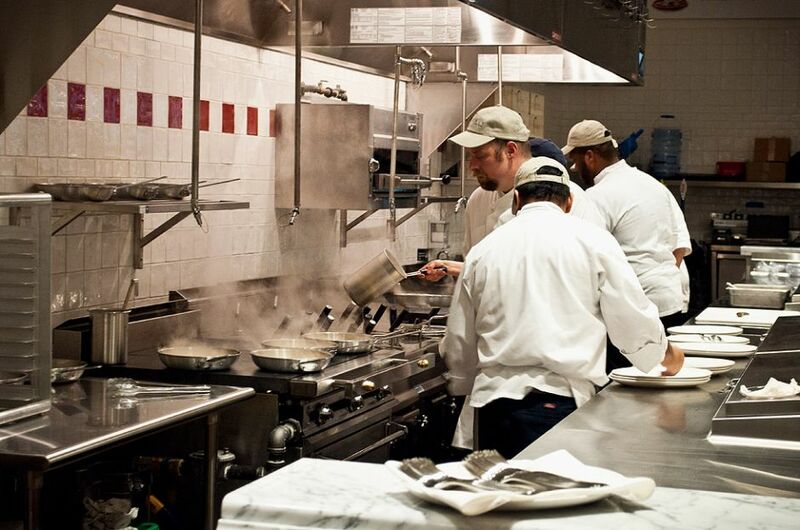 Respect your line cooks, they are the heart and soul of the kitchen. ← AS A COOK, WOULD YOU BE WILLING TO SIGN YOUR WORK?